If you’re a parent living in the Lake Worth area, you should know you have a safe, fast and affordable lice treatment option available to you and your whole family. At Lice Lifters Palm Beach Gardens, we specialize in ridding families of head lice, and we do so in a single appointment. Please fill out our contact form, so we can set an appointment for you. Our technicians will make head lice a thing of the past for you and any of your children. At Lice Lifters Palm Beach Gardens, we follow a series of proven steps on every person who comes into our lice clinic, which is why we are so successful at dealing with this issue. We’ll start with making sure lice are the problem by doing a head check on any family members you believe are infested with them. 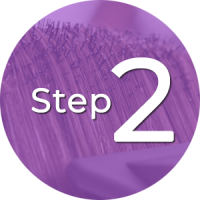 Once they’re found, our certified lice technicians remove lice and their nits with a comb-out. We’ll then follow this up by applying a 99.9 percent effective killing agent that handles any remaining lice or nits. Our Palm Beach Gardens location is convenient to your family in the Lake Worth area. Please come in and we’ll handle this problem for you quickly and affordably. Our certified technicians have plenty of experience at using a specialized comb to thoroughly remove lice and nits from the hair and scalp of your infested loved ones. 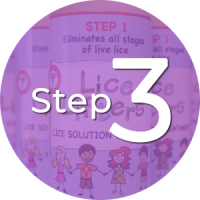 This step in our process is where any lice that were lucky enough to avoid the comb-out have their luck cut short by our safe, non-toxic killing agent. The head lice removal process we follow at Lice Lifters Palm Beach Gardens is among the best anywhere on the market today. We’re more effective than mobile services because we have the crucial step of using a liquid killing agent as insurance against any lice or nits missed during the comb-out. Beyond the effectiveness of our treatment, we make sure to also be as welcoming as possible because we know we don’t have a business without customers just like you. From the moment you enter our lice clinic, you’ll know you’re in a family-friendly establishment that will treat you right as we rid your entire family of the annoying bugs that are head lice. We guarantee our treatment because we know it’s safe and effective. We use a killing agent that eliminates all live lice activity. Our experienced and friendly certified technicians put you at ease. We offer the option of flex and health spending account payments. Your treatment is completed in a single trip. We’ll do a head check for lice and then a comb-out to remove them. We’ll apply an all-natural solution that’s 99.9 percent effective. 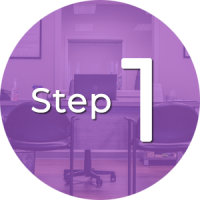 Our post-treatment instructions are easy to follow. We educate you to detect and prevent lice outbreaks in the future. Our movies, snacks, TV and play area keep your family entertained while waiting.